Though it can be stressful to fly or drive with a newborn, getting out there and seeing the world is important for the whole family. In some cases, you might need to drive with your baby to see family. Either way, you will want to prepare well enough in advance so that the drive is easy on both you and the baby. 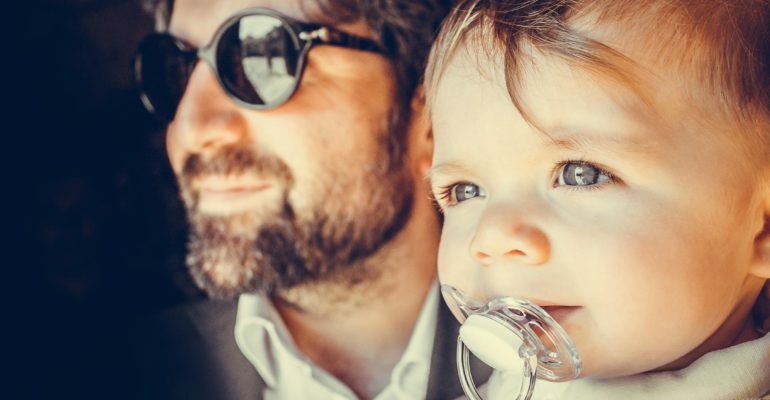 Knowledge is your friend, so to get started with any trip plan, always start here to ensure you have everything that you need to enjoy your baby’s first trip. Also known as i-Size seats, these seats must follow the latest EU regulation of safety. It means if you are using a hand-me-down from when you were a kid, or from a friend who had her kids a few years ago, there might be some changes that you need to know. You don’t need to swap out your seats, but there are benefits to getting yourself a new isize car seat. The current regulation for safety seats is now known as i-size, and it has been in rotation since July 2013. If your seat was made before this date, you might have an outdated car seat that does not match up to current regulations. The main difference in the newer seats is that it provides better protection from side impacts, and is able to keep children rearward facing for longer. There are new seat varieties for height changes, rather than weight, and rear-facing restraints now cover babies up to 15 months old. …and so much more. What you bring will depend on where you go, but these are the basics. Though everything should be perfectly fine on your trip, you should aim to bring emergency care. From cold and fever medicine to extra nappies, you never know what can happen and bringing an extra set of clothes is an easy way to handle emergencies. It is not safe to travel to some areas with an infant because they cannot get their vaccinations until they are older. When travelling with a baby try to stick to safe spaces, like your parent’s home. This is especially important with the anti-vaxx movement making even traditionally safe spaces for kids a risk for those too young to get vaccinated or those who cannot. If you do perceive a risk, try to get your friends and family to visit you instead of the other way around. Though possible to travel with an infant, it can be difficult. Always visit your doctor beforehand to see what they recommend and bring enough supplies to keep you comfortable when you are away. Your destination might have baby supplies, but they might not have the brand your baby is most comfortable with using.